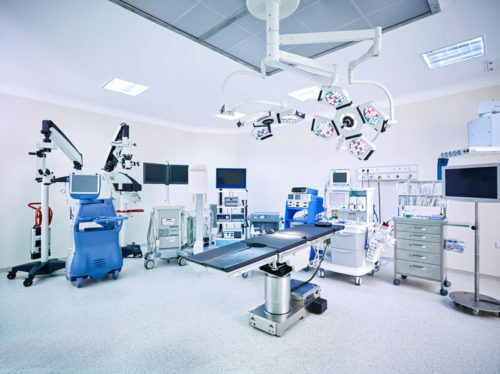 RPL attorneys have deep experience with and interest in medical device innovation, whether mechanical, electrical, software, or combinations of all. Medical device companies rely on IP protection as an essential element of the business. In an innovative industry, in which the costs to bring a product from R&D to market are as high as they are in the medical device space, it is critical to have mastery of the IP strategy at each stage of the business. Although it is always worth exploring every possible avenue for IP protection (patents, trademarks, copyrights, and trade secrets), patents and trademarks are the most critical IP regimes for medical devices and medical device companies. In the medical device space it is especially important to have a good understanding of the patent landscape. You want to know where there is whitespace to develop new products, you want to assess the risk of infringing other patents by making and selling your products, and you want to know whether your inventions are patentable. Patent searching is essential for these assessments and is the cornerstone of any well-designed medical device IP strategy. In addition, there can be great value in patenting your own products. Both design patents and utility patents are commonly used in the medical device space. Working with a patent attorney that has experience in the medical field can help you quickly focus on the key protectable innovations in your business and the best strategies for patenting those products. Trademarks may play the supporting role to the patents in the medical device IP portfolio, but they cannot be neglected. A product’s name is an essential piece of the product’s brand and marketability, but it is also a potential infringement risk. Trademark searching is an important tool to assess the infringement risk when bringing the product to market. Trademark searching is also helpful when establishing a product or brand name to ensure it is distinct and not confusingly similar to other names in the space so it may be registered as a trademark itself. RPL’s attorneys have a strong background in IP protection for medical innovation. RPL’s managing attorney, Patrick Richards has written, licensed, and enforced medical device patents since the first days of his legal career. In fact, the first patent application he wrote in 1999 for the University of Virginia was for a medical device used to deliver medication to the sinuses. In addition to his extensive medical device patent writing and litigating experience, Patrick has taught a course in medical innovation at the Northwestern University Pritzker School of Law each year since 2014. Patrick is also a co-founder and chief strategy officer of Resonance Medical, LLC, a health-tech company developing software for neuromodulation and other sensory enhancing devices. RPL helps businesses protect their medical software using patents, trademarks, copyright, and trade secrets, licenses and more. RPL attorneys patent and trademark surgical instruments, use trade secrets to further protect the IP, as well as license and sell these IP rights. RPL is experienced in protecting telemedicine IP including telecommunication systems, IT, including systems leveraging big data and machine learning.